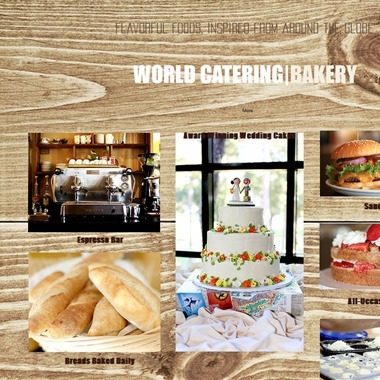 Select photos you like; we'll recommend wedding cake bakeries in Houston Try now! 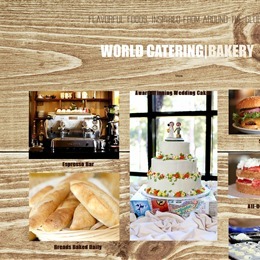 "Hi, ​we're delighted to help you customize an incredible, edible work of art. 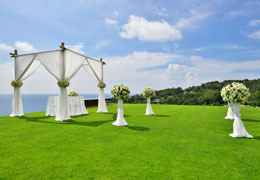 ""IF YOU CAN IMAGINE IT, WE CAN CREATE IT"" Do you need this last minute? ​Do you need special delivery, even on Sunday? Do you have a picture or idea in mind? ​ Whatever your unique situation, we will make it happen! " 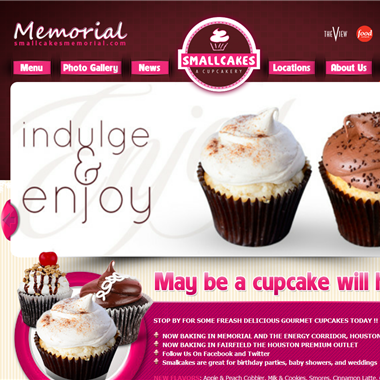 "Smallcakes was founded in Kansas by Jeff and Brandy Martin and serves the best cupcake around. On March 10, Jeff competed in his second tournament on Food Network’s “Cupcake Wars,” building Smallcakes’ already well-established name. 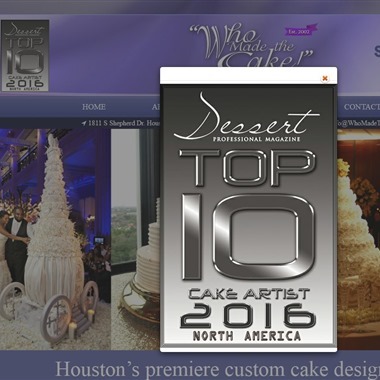 In 2012, USA Today voted Smallcakes one of the “Top 10 places to try gourmet cupcakes.”"
"Houston’s premiere custom cake design studio, “Who Made the Cake!” has developed a strong reputation for spectacular custom designed cakes in which flavor and design are equally important. Known throughout Texas, and even featured nationally, Nadine Moon and her staff create new and innovative designs for celebrities, sports figures, socialites, politicians, and you!" "You will never plan a day more carefully than your wedding day and today's bride can have a variety of flavors within her cake. We are now offering tres leches and many other pastries." 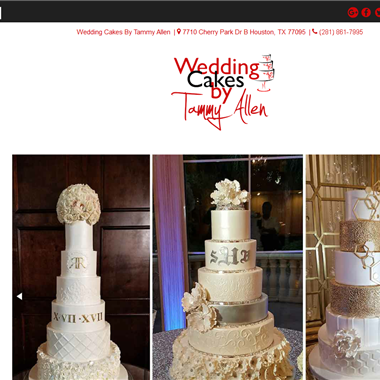 "With over 25 years of experience in the baking industry, Wedding Cakes by Tammy Allen has earned a special place in the hearts of brides from all around the Houston community. 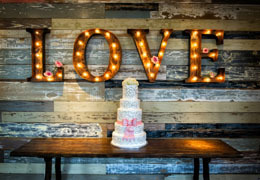 From our satisfying taste to our flawless design, we strive to capture the love story between the bride and groom through custom cakes or wedding cupcakes!" 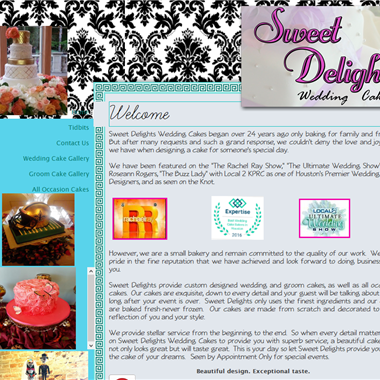 "Set an appointment to visit with one of our wedding cake consultants. 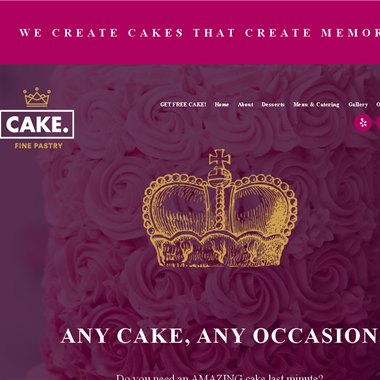 We will sit down and review what options you would like to consider for your dream cake. Some ideas on what you want to think about before you come in"
"Count on Supreme Kakes & More to make your next party or special event extra extravagant. Our cakes and desserts are made from 100% natural ingredients and made to order. 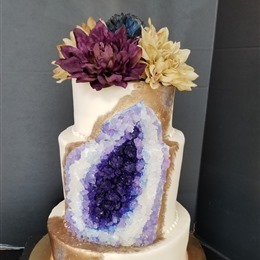 Get a uniquely designed custom cake for your wedding, or indulge your guests in a fanciful dessert."